Huawei founder denies spying for China in rare interview - SABC News - Breaking news, special reports, world, business, sport coverage of all South African current events. Africa's news leader. Huawei’s reclusive founder Ren Zhengfei stepped out of the shadows Tuesday to give a rare media interview, forcefully denying accusations that his firm engaged in espionage on behalf of the Chinese government. The company he founded more than 20 years ago has been under fire in recent months with the arrest of Ren’s daughter and Huawei CFO Meng Wanzhou in Canada, the arrest of an employee on spying charges in Poland, and a worldwide campaign by Washington to blacklist it. A former Chinese army engineer, Ren denied that Huawei passed information along to the Chinese government. “I love my country, I support the Communist Party. But I will not do anything to harm the world,” Ren told a group of foreign reporters, according to Bloomberg News. “I don’t see a close connection between my personal political beliefs and the businesses of Huawei,” he said. 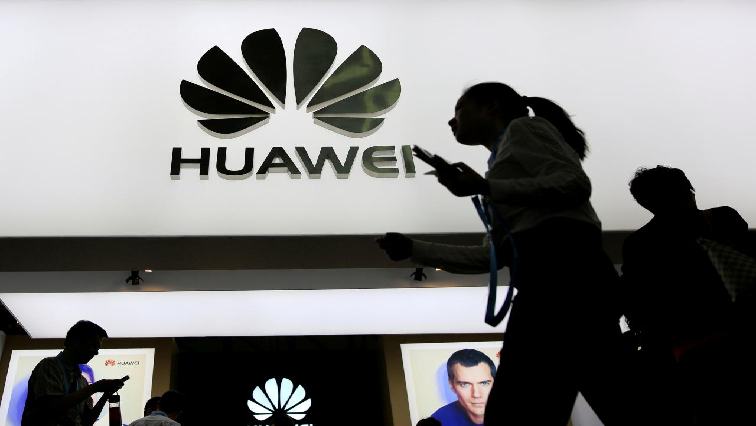 Huawei faces unprecedented challenges to its business amid a global campaign by Washington to push nations to reconsider using the telecom giant’s equipment in their cellular networks over security concerns. Australia and New Zealand banned its gear last year and a top British operator moved to remove its existing equipment, while concerns grow in Canada, Japan, France, Germany, Poland, the Czech Republic and other countries. Last month Canada arrested Ren’s daughter Meng on a US extradition request related to Iran sanctions violations. Ren said he missed his daughter very much and denied any regular contact with the Chinese government, according to the Financial Times. Some analysts say Beijing’s ferocious response to her arrest points to the high-level connections that Washington alleges. Chinese authorities detained two Canadian citizens — a former diplomat and a business consultant — on suspicion of endangering national security soon after Meng’s arrest in a move widely seen as retaliation. Then authorities revisited the little-known case of Canadian Robert Lloyd Schellenberg, who was sentenced to 15 years in prison in November for drug offences. On Monday he was sentenced to death in a hastily arranged retrial — China has denied any of the cases are connected to Meng’s situation. In December President Donald Trump said he could intervene in the US case against Meng if it helped seal a trade deal with China — a statement that displeased Canada, which has denied politics played a role in Meng’s arrest. “Trump is a great president. He dares to massively cut taxes, which will benefit business,” Ren said at the roundtable with reporters. “Huawei is only a sesame seed in the trade conflict between China and the US,” he said, according to Bloomberg. Ren told reporters Huawei would deny any request from Beijing to share sensitive information from its clients. Huawei has long rejected such Western accusations, saying there was “no evidence” it poses a threat to the national security of any country. But this month Poland arrested a Huawei employee suspected of spying for China. The firm swiftly sacked the employee Wang Weijing, who led Huawei’s sales team in Poland, and said “his alleged actions have no relation to the company”. Ren said he was not worried about the bans by some countries and forecast Huawei’s revenue would grow to $125 billion in 2019. “Huawei is not a public company, we don’t need a beautiful earnings report,” he said. “If they don’t want Huawei to be in some markets, we can scale down a bit. This entry was posted on 15 Jan 2019,04:22PM at 4:22 PM and is filed under Sci-tech, News. You can follow any responses to this entry through the RSS 2.0 feed. Both comments and pings are currently closed.